Happy September! This has been a record hot and dry summer for us here in Oregon, and I am SO ready for fall weather! 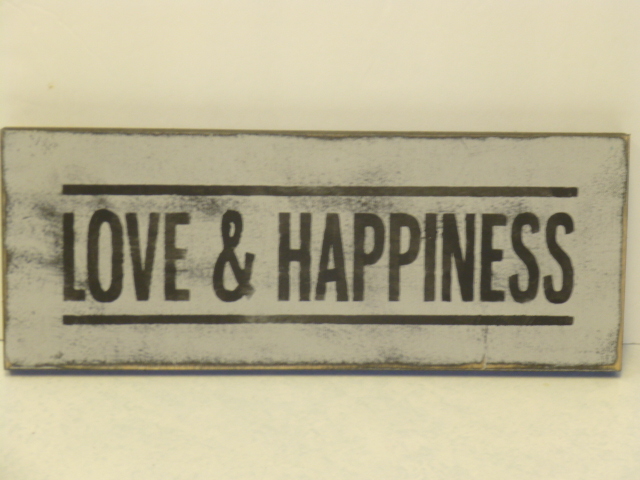 A new month means a new half price sign on the month in my etsy shop! 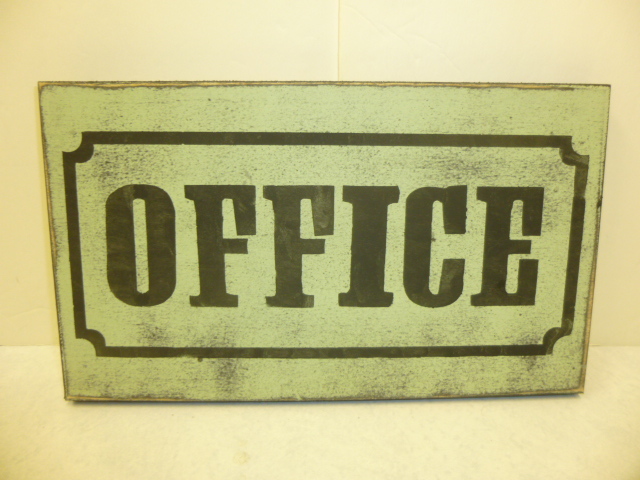 This months half price sign is a BRAND NEW design instead of an old favorite. 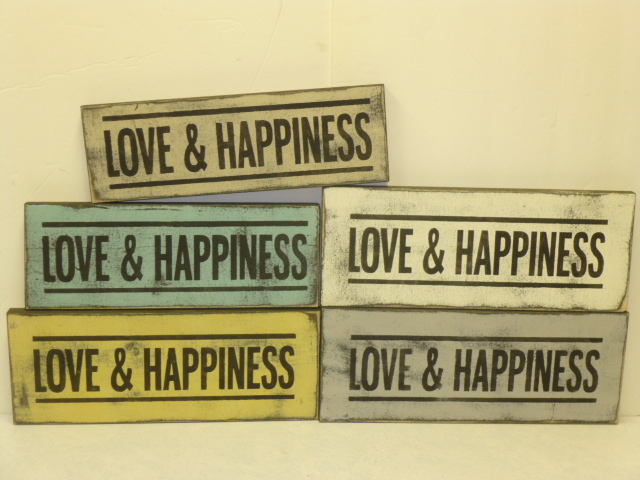 “LOVE & HAPPINESS” (regular price $24.00) NOW REDUCED to $12.00 for the month of September, and while the current supply lasts*. Shop early for the best color selection. BIG (approx. 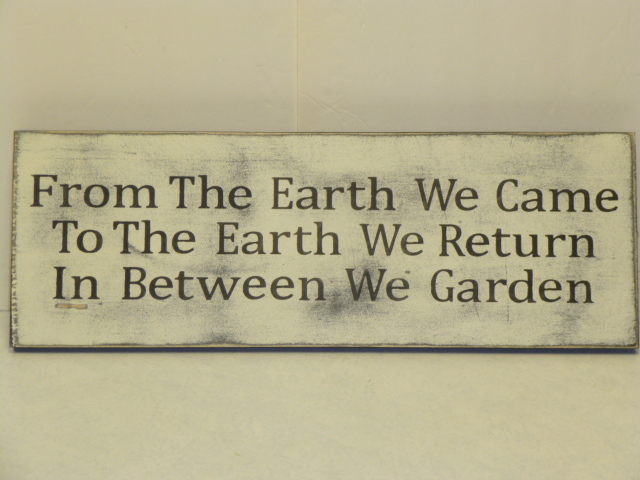 14″ x 15″!) 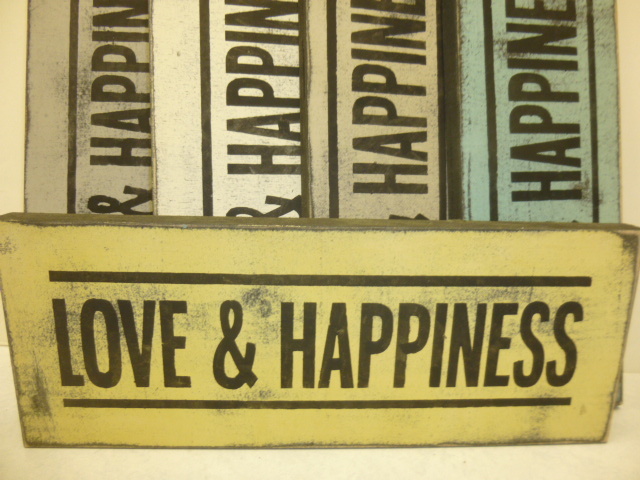 “TRULY MADLY DEEPLY” SIGN. And a couple of ‘custom’ versions. The one on the right is in my booth at Stars (2 of them) The one in the center is being saved for a gift. 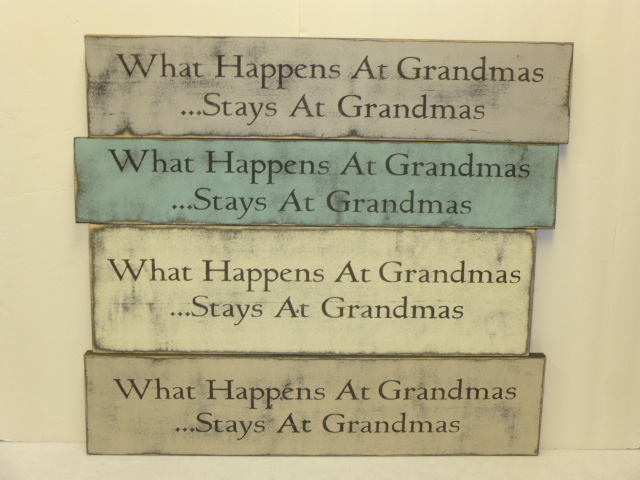 New colors of “What happens at Grandma’s . . .” signs; in my etsy shop AND at Stars. 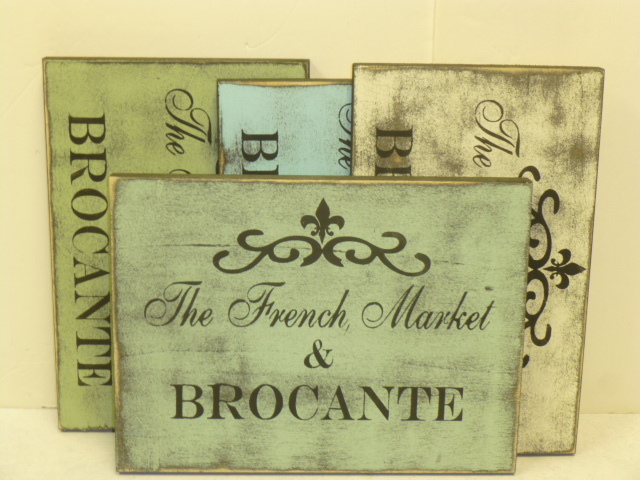 My own original design; “The French Market & Brocante” sign; on etsy only. Will add more signs ‘in general’ to Stars when I get more made. Right now I need to start ‘stocking up’ for the fall craft show! Just 2 months away! !